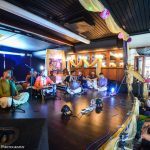 In honour of ISKCON’s 50 year anniversary, ISKCON London organized a Boat Festival on the River Thames this past Sunday (31 July). 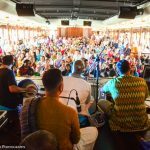 Over 500 guests boarded the Dixie Queen at midday and for six hours we sailed up and down the Thames, with a nonstop kirtan taking place. 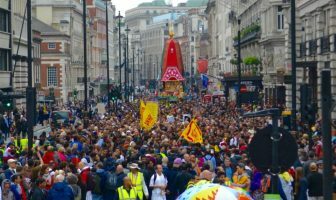 The festival was advertised as a “Chant for Peace” campaign and it was covered in the media. 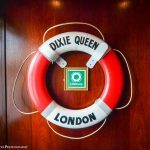 While we travelled on the subway to the city centre to board the Dixie Queen, people recognised us as Hare Krsnas and greeted us very warm-heartedly! 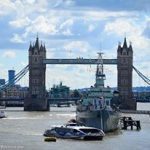 One of the touristic highlights of the cruise was when the Dixie Queen approached the famous London Tower Bridge, which then opened for the boat to pass through. Devotees were waving from the bridge with “Chant for Peace” signs in hand and many other people were watching. 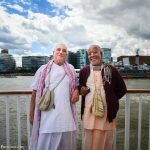 There were many senior devotees and famous kirtan leaders on board, making it a really wonderful event and more than just a public stunt. 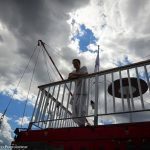 Radha Londonisvara Prabhu was first on the line-up, and he set the scene with a light melody while everybody got comfortable on the boat. 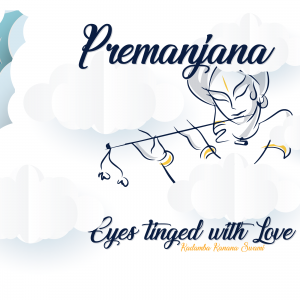 As the main room of the boat had filled up, devotees were eagerly waiting to hear Kadamba Kanana Swami sing. 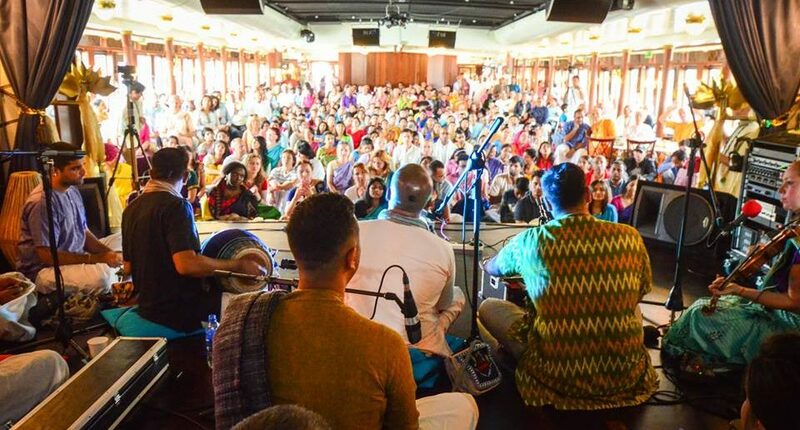 He started his kirtan in a mellow fashion, building up to the high-pace style that many had hoped for. 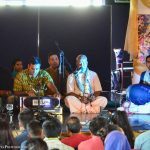 With Jahnavi on the violin, Varun on the mrdanga and Ravi as back-up singer, Maharaj had an excellent team of musicians on the stage with him. Towards the end, Maharaj engaged the crowd even more by making them chant loudly together for about ten minutes. 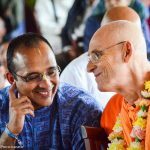 In reflecting thoughts about the event, Maharaj thanked the organisers and everyone who had participated and emphasised the importance of peace, represented by the Hare Krsna movement. 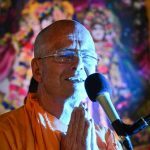 While lunch was starting to be served downstairs, Dina Bandhu Prabhu sang a beautiful Vrindavan styled kirtan ending with a long and loud, ‘Radheee Shyam!’ Then Mahatma Prabhu started his “reggae-dance” kirtan as he jokingly referred to the tune. Agnidev Prabhu was next on the stage. 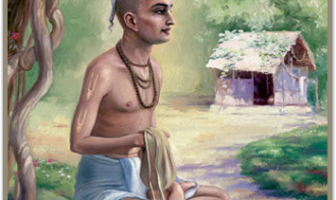 He sang gauranga bolite habe first, followed by different beautiful melodies of the maha-mantra. By his unique voice, he created an ecstatic atmosphere. 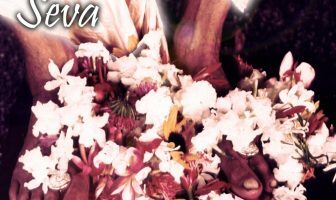 He expressed his deep gratitude to Srila Prabhupada for everything that Prabhupada had gone through for his disciples and said that Prabhupada would have been proud to see devotees have a Boat Festival on the famous Thames in London! Last but definitely not least, BB Govinda Maharaj started leading kirtan after a few introductory words. He started very slowly and beautifully but eventually speeded up and got everyone to stand up and dance. 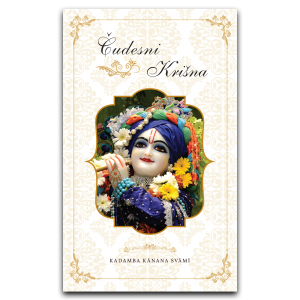 It was a wonderful finish to the successful 50 year anniversary festival of ISKCON in London!